Created in collaboration with London-based artist Rhys Coren, the Eytys Spring/Summer 2014 collection features graphics inspired by late 1980s, early 1990s soccer goalkeeper kit designs and the acid house-scene from the same period. 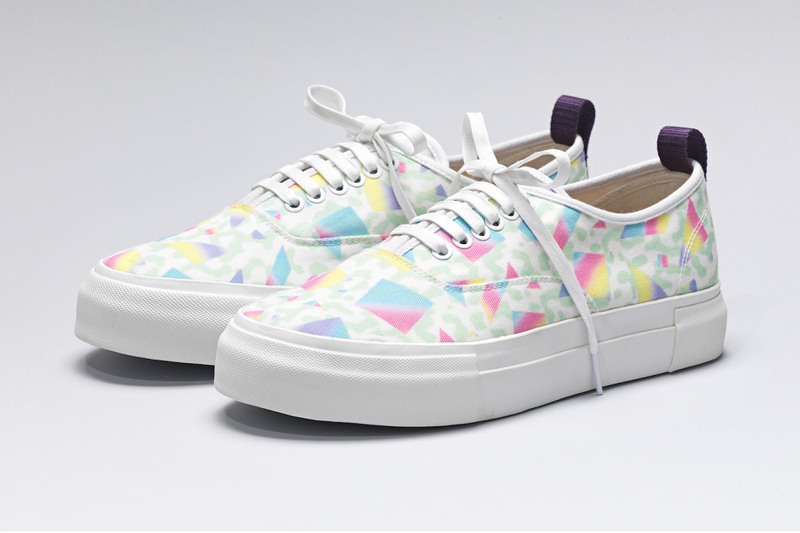 The first time the brand has used prints on its footwear, the unisex collection is a tribute to The Memphis Group and consists of three printed versions of Eytys’s Mother silhouette. The sneakers feature confident proportions, accentuated soles and dark purple heel tabs– visible details are limited with the main focus on function. The collection will be available at select retailers such as Dover Street Market, colette and Opening Ceremony beginning March 5.